We've been in an extended study of God's great Grace. As of late, we've been examining the implications of the complete and total forgiveness His great Grace procured for us in the Finished Work. We've seen how forgiven we are in Christ. We've addressed the issue of broken fellowship if we sin and the confession of sins for the believer. As we began digging deep into the truth of total forgiveness in Christ, past present and future, we also had to tackle this issue of what exactly happens when we sin. The New Covenant has an answer for this but so does religious tradition. We've been dealing with this traditional checklist and revealing the light of New Covenant truth over the concepts of men, here to review the checklist). Over the recent weeks, we've answered these concepts in light of Grace. Today, I want to deal with this issue of repentance. I then want to reveal the New Covenant "checklist" for when a believer sins. Now if you're a regular reader, you know I've addressed this topic of repentance before, here and here. Yet, it still bears going over this topic again. If you turn on Christian Television or radio you will constantly have this religious checklist about your sin taught in some fashion. This is one of the major definitions that is subtly added to this word repentance. Should we cease and desist from sin and wrong choices and destructive behavior? This is an obvious truth. Why would we want to pursue self-destructive behavior and choices which we know are unprofitable? That being said and understood, it doesn't justify altering the definition of repentance. You see, ministers and believers observe the poor choices of others. They want them to cease because of the end results are so unprofitable. In their zeal, some have created a definition of repentance to mean cease and desist from all negative activity. What is the problem with this? The problem is one, that is not the Biblical definition of repentance. Two, it often times strips away the security and assurance of the believer. How so? I've sat through many holiness styles of preaching years ago. In their zeal to curb sin, they would seem to suggest if you didn't repent you weren't really forgiven. Even if you went down to the altar and "confessed and repented" with tears streaming down your face and fists striking your chest and head hung low in shame you weren't really promised forgiveness for your sin. Have you actually ceased from this sin? If you have "purposefully" sinned or have repeated this action, then the teaching was you hadn't actually repented. With this mindset, where is the assurance that God had forgiven you and isn't holding your sins against you? As a young believer, in my struggles with temptation, I often sensed that because I had repeatedly committed the same sin God was so sorely displeased and disappointed in me. I had let God down. Would He forgive me? The sense of forgiveness and total acceptance was never a sure thing especially since the holiness style preachers would send the subtle message that it was kinda iffy and folk was on an unsteady ground if they kept sinning the same sin. I've actually heard a holiness preacher declare if we persist in the same sin God has no obligation to forgive us. Repentance, does it mean to cease and desist? No, this hijacked definition by tradition is a weaponization of this word that creates a barrier between God and His people. It stirs within the minds of believers that they are unacceptable and unwelcome in God's sight. The truth is all sin is willful and purposeful. Sadly, we do at times get caught in a cycle, where we repeat the same sin. What we must understand is His Grace is greater than all our sins and failures. He has already forgiven us all our transgressions and failures. He knew we would commit the same sins repeatedly, and yet He still called us, chose us, redeemed us, cleansed us, made us righteous and acceptable without blame before His Father. This seems to be one of the most predominate definitions of repentance. When you're involved in sin, you need to cease and desist and turn and go the opposite way. 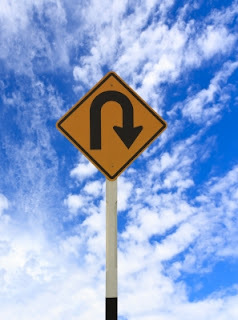 Again, if you haven't turned in the other direction figuratively speaking then you haven't sincerely repented. If you haven't sincerely repented, then it's uncertain if God has forgiven you or not. This "cease and desist" and turn the other way concept has similar consequences. It robs the believer of their full assurance of forgiveness and right standing. Now the scripture that tradition uses to establish these ideas of repentance is found in Acts. This passage is actually full of good news. Leave it to tradition to misunderstand this beautiful passage. This passage gives us the true definition of repentance. It clearly distinguishes between repentance and the act of turning towards something better. See this passage more clearly in another translation. Here we better see the definition of repentance. He is talking about the lost changing their minds and turning to God instead of their own works, efforts, and false religions to bring about salvation. So is repentance a total ceasing of wrong behavior? Is it to turn and go the opposite way? Is it even feeling sorrowful for our actions? Repent simply means to change one's mind. In the Old Covenant, we find places where God changed His mind. Was He turning around? Was He ceasing from sin? Was He being sorrowful of wickedness He had committed? No, He simply changed His mind. So in light of all these New Covenant truths what is the Grace checklist when we sin? 2. We experience a sense of regret or guilt. 3. God already knows when we miss it, He isn't taken by surprise, He is not outraged, angry, or falling off His throne in disbelief. He isn't charging this sin against us because Jesus already paid the price in full. 4. We, therefore, run to God, not from Him. 5. God with arms open wide is always there with love and forgiveness and total restoration. 6. We repent of our sin or wrong choice, meaning we change our minds about that behavior and simply agree with God, that this behavior is sinful, it isn't profitable. We acknowledge our sin, and then acknowledge it has been already forgiven in Christ. 7. The Spirit convicts us of our righteousness. He reminds of who we are and whose we are. He reminds us of our righteousness in Him and the fact we are new creations. This action or behavior isn't becoming of who we really are. 8. The realization of our true identity and our right standing and total forgiveness propels us to continue unabated in our pursuit of His will, plan, and purpose for our lives and our loving relationship with our good Father. 9. If we, by our choices, somehow caused another to be missing or broken in some area, in love and humility and free from guilt and shame we do our best to make amends. Now nowhere in the New Covenant is there a place for burdensome guilt, for shame, for condemnation to eat away at you because of your failures and addictions and sins. This is great Grace. It is undeserving, unmerited, impossible to earn or achieve, favor goodness and love. To summarize, there never should be any burdensome guilt, shame or condemnation tolerated for the child of God, even when we sin or fall short. There is no extra punishment or payment rendered on our part when we falter. There is no broken fellowship with our Father. There is no confession to obtain a forgiveness the blood already purchased. There is no turnaround or else order given. Jesus paid it all in the Finished Work. As our good Father, when we fall short He is there for us. He teaches us, He instructs us, He corrects us because He loves us. Yes, His great Grace will even "step on our toes" when we fall. He reminds us, hey you're better than this. You were made for so much more. Jesus has so much better for you. His correction directs our steps. When He is correcting us, it is done in Fatherly love and compassion that is completely free from shame and condemnation. God is never rubbing our nose in our mess. He loves us even in the midst of our worst state. Though we may feel isolated and forsaken because of our sins, our Father has never left us, He is always there bringing truth, love, mercy, and restoration. God isn't looking upon us with crossed arms in disappointment, the truth is our sins aren't letting God down. God upholds us with His mighty right hand of righteousness. We are forever forgiven, saved and secure in our Father's hands, this is what produces triumphant, victorious, fruitful living in Christ.